In this Q&A with Ricardo Gonzalez Product Line Director, Space Products & Processing at BAE Systems in Manassas, Virginia, he discusses the impact of Department of Defense (DoD) budget cuts on the military space market, design radiation-hardened (rad-hard) components, and how BAE Systems handles big data and reduced SWaP requirements in their space products. Edited excerpts follow. MCHALE REPORT: Please provide a brief description of your responsibility within BAE Systems and your group’s role within the company. 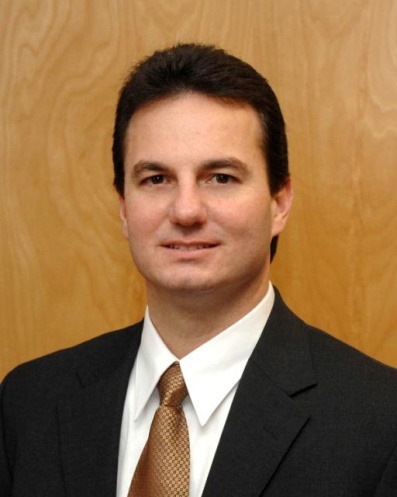 GONZALEZ: I am the Product Line Director for Space Products and Processing (SP&P) at BAE Systems. SP&P is part of our Intelligence, Surveillance & Reconnaissance Solutions (ISRS) business area. It is the focal point for all space-related products, and we’re responsible for developing and manufacturing a wide array of space subsystems and components that leverage world class digital, infrared (IR), and RF technologies. The organization supports a variety of customers, and our products are used in applications for DoD, civil, commercial, and national security space missions. MCHALE REPORT: Please provide an example or two of current military and/or NASA platforms that use your BAE Systems radiation-hardened component technology? GONZALEZ: Our single-board computer (SBC) products, based on our RAD750 and RAD6000 microprocessors, are flying on over 250 different spacecraft, including three generations of Mars rovers and Advanced Extremely High Frequency (AEHF) communication satellites. We also have memory products and application specific integrated circuits (ASICs) on these platforms and on many others. Our RAD750 [SBCs] have truly become the trusted workhorse of the satellite computer market. MCHALE REPORT: The DoD released its FY 2017 budget request last month with a slight increase in overall funding. How do you view the DoD funding outlook for programs that make use of radiation-hardened components? GONZALEZ: For the market segments that we serve, the demand for radiation-hardened components is rather stable with less volatility than the overall DoD budget. We also see pockets of strong growth in the area of rad-hard components that enable higher levels of on-board processing capability. Highly integrated processors and reconfigurable computing components are essential building blocks that are required for current and future demands of the evolving space market. MCHALE REPORT: In many terrestrial platforms innovation is happening at the intelligence, surveillance, and reconnaissance (ISR) payload level. How are satellite payloads evolving in terms of capability and the innovation in electronics that enables new capabilities? GONZALEZ: Similar to the terrestrial platforms, satellite payloads are evolving by leveraging the increased on-board processing performance that we’re able to deliver with advanced capabilities like BAE Systems’ RH45 technology offering. For a myriad of reasons, the space community will likely always follow in the footsteps of terrestrial and airborne advances. Recently, however, we’ve seen a greater emphasis on closing the time gap between fielding a technology on the ground and flying the technology in space. MCHALE REPORT: Reduced size, weight, and power (SWaP) requirements are hitting all applications in defense electronics. How are they impacting your space system designs? What are the tradeoffs with smaller tech? GONZALEZ: SWaP has always been a major driver for satellite systems, and we see that continuing into the foreseeable future. We like to look at optimizing the performance of a solution within the power envelop for the electronics on a specific platform. Smaller technologies certainly help in providing more performance for the same SWaP constraints, but there are reliability, radiation, and thermal density concerns that need to be considered in the trade. Care must be taken to balance all of these constraints in order to develop and manufacture optimal solutions. MCHALE REPORT: How is big data being addressed in your rad-hard systems? GONZALEZ: Historically, the space community has been somewhat constrained by technology and a bit reluctant to equip satellites with the on-board electronics necessary to process and act on big data. In our view, evolving requirements and newer enabling technologies will drive more of this capability into the satellite. And by providing autonomous on-board processing, we’ll see the benefit of reducing the volume of data – which will therefore reduce the bandwidth required to transmit it for post processing. But the biggest benefit will be a significant reduction in the time it currently takes to generate actionable information. MCHALE REPORT: Is there more demand today for customized, rad-hard components such as microchips? GONZALEZ: In today’s marketplace, there is more demand for system integration, and that drives the need for more advanced technologies. But at the same time, many customers are also looking for standardization so they don’t own all of the risk and cost that are associated with custom microchips. Future systems – especially in the small satellite segment – will likely have lower part counts; so many individual components will then need to be more capable. MCHALE REPORT: Regarding the radiation-hardening process, what method is most preferred today? GONZALEZ: Radiation-hardened by design (RHBD) techniques leverage commercial wafer fabrication processes, and that has become the preferred method for hardening microchips. At BAE Systems, we perform RHBD techniques at the custom circuit, logic design, and several steps in the physical design process. This shift to RHBD occurred for multiple reasons. First, advanced technologies are more robust in response to certain radiation phenomena, while the remaining phenomena can be effectively mitigated or managed through design practices. And it’s much more difficult to make invasive process modifications at the more advanced technology nodes. There will always be a few missions that will benefit from radiation hardening by process, but that number is shrinking. MCHALE REPORT: Budgetary constrained environments for DoD programs often make it difficult to balance reliability with cost effectiveness. How does BAE Systems handle reduced cost requirements from the DoD? Do you leverage commercial manufacturing processes as some companies have done? GONZALEZ: In response to budgetary constraints, BAE Systems closed its internal fabrication foundry, and now we operate as a fab-less rad-hard electronics provider. We leverage commercial manufacturing processes to the greatest extent possible, while at the same time providing QML-V qualified, high reliability, rad-hard components. Where it’s possible, we’re able to provide lower levels of screening to meet mission requirements while reducing cost. But the cost of components is often a small percentage of the value for the overall mission. The risks and costs of up-screening lower quality parts, flying and managing more redundancy, or spending more dollars on software to mitigate an array of failure modes quickly dwarfs the savings that result from starting with a lower reliability bill of material. One way to look at the situation would be to total-up the cost of all of the piece parts in a system and then compare it to the overall cost of the mission. In many cases, the right answer is to continue to fly higher reliability components. MCHALE REPORT: Looking forward, what disruptive technology/innovation will be a game changer for space electronics? Predict the future. GONZALEZ: At some point, we will have to break away from traditional transistor-based designs. But it does seem that every time we think we’re reaching the limits of transistors, creative folks find a way to extend the useful life. The latest of these is the three-dimensional FINFET technology, which is enabling sub 10-nanometer transistors and three-dimensional packaging that further reduce parasitic loads. If not in the electrical realm, the game-changing technology of the future may be based on light or even biology. More than likely, we’ll see a hybrid solution as a new technology takes shape. We’ve spent the better part of 50 years learning how to design with transistors, and it will take a while to learn a new way to solve problems. Once a few brilliant innovators show the way, the shift will likely happen faster than we could imagine. 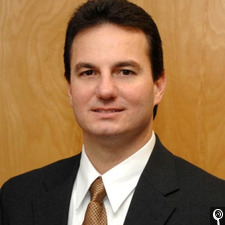 Ricardo Gonzalez is the Director of Space Products and Processing (SP&P) at BAE Systems in Manassas, Va. He oversees the team responsible for developing and manufacturing a wide array of space subsystems and components leveraging digital, IR, and RF technologies. With the company since 1997, Gonzalez previously served as Engineering Director for SP&P and has held a wide variety of leadership roles in engineering, program management, and new business captures.